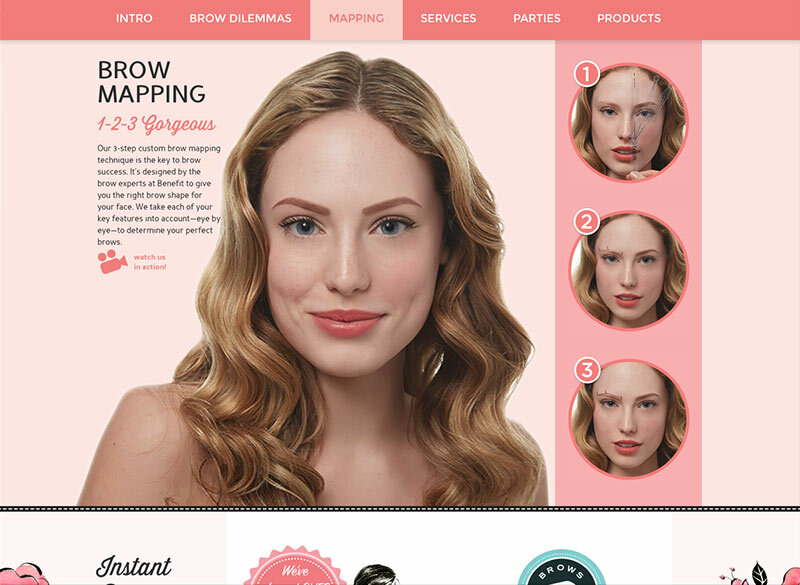 How do you get brows that wow? 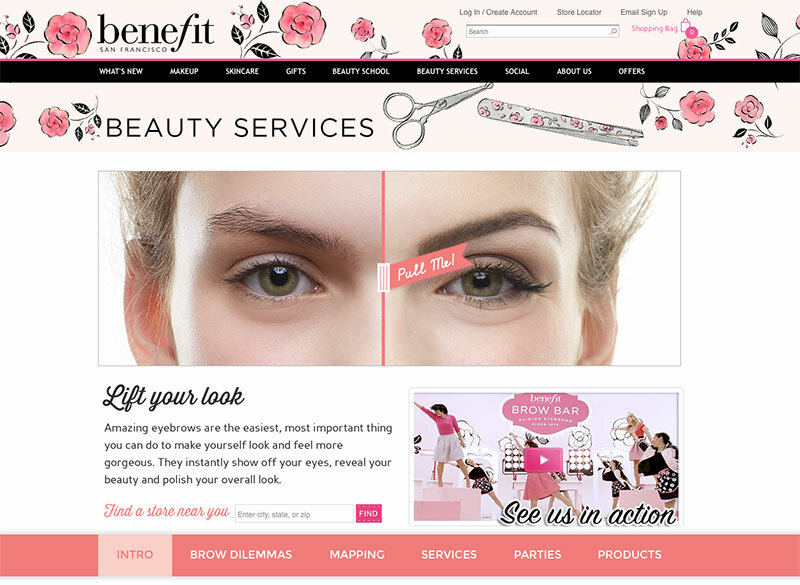 Benefit Cosmetics is taking the beauty world by storm—eyebrows included. 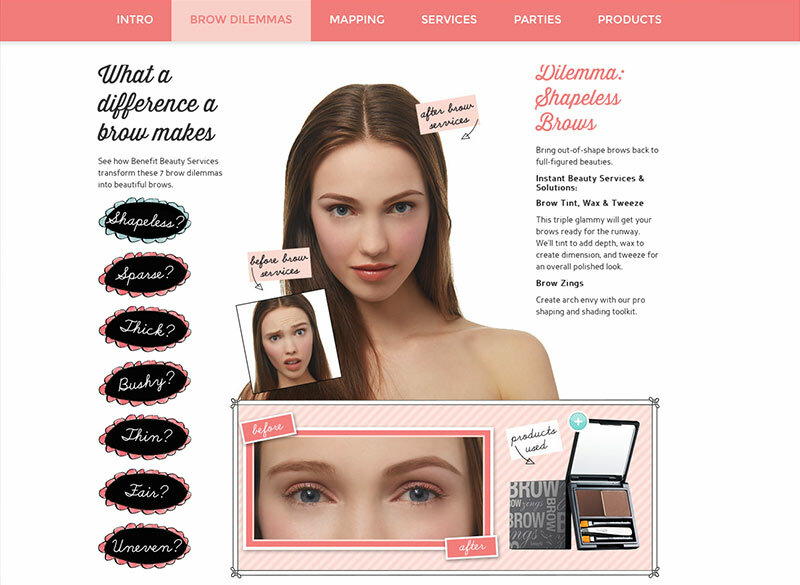 Benefit believes that brows are the easiest, most important thing you can do to look and feel more gorgeous. And they should know having shaped over 10 million brows and counting. 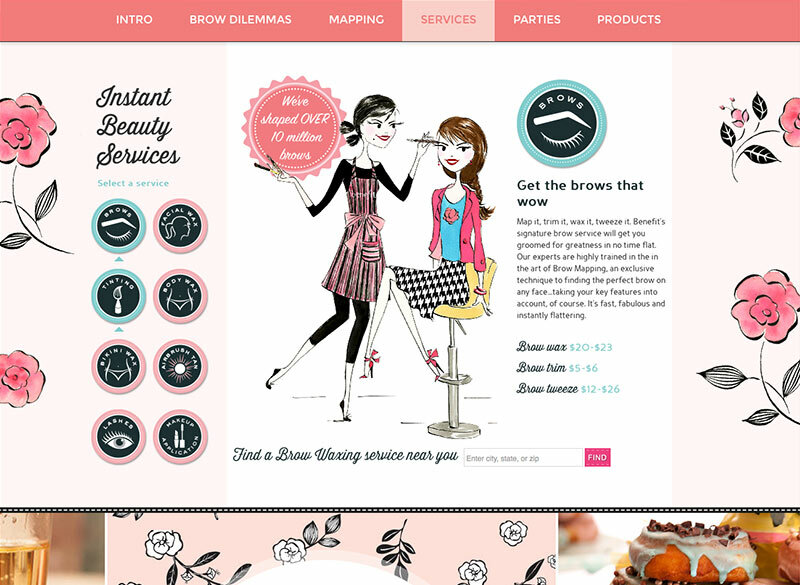 To share Benefit’s brow expertise with the world, we worked with their in-house design team to create content for a dedicated Benefit Beauty Services website, complete with brow dilemmas and instant beauty solutions.